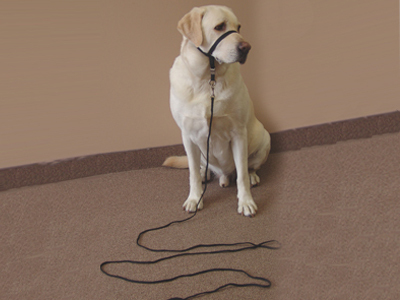 The indoor training lead helps control, train and prevent unwanted behaviors such as barking, jumping up or stealing. Any unwanted behavior can be interrupted by either picking up or stepping on the lead from up to ten feet away which prevents the dog from running away and playing chase. The lead can be picked up and the dog gently pulled to your side. Have the dog sit and reward the dog for sitting. The 10’ Indoor Lead is not intended for outdoor use or for use when the dog is not supervised!